I found this amazing mechanical machine on YouTube. This calendar was designed by Clayton Boyer. You can find his plans available here. 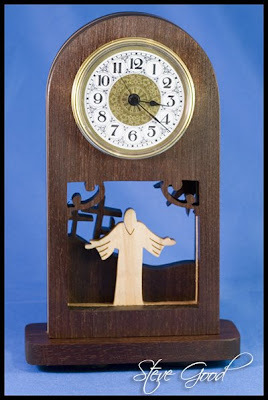 Clayton has several beautiful clock plans available to buy. 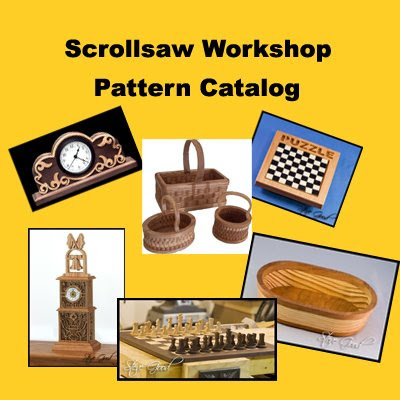 If you are not interested in making one of these projects it's still worth a visit to his web page just to look and his designs. 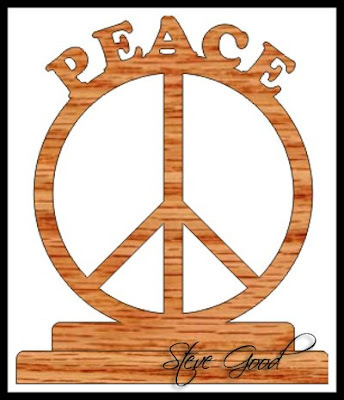 Scroll Saw Artist word art pattern. 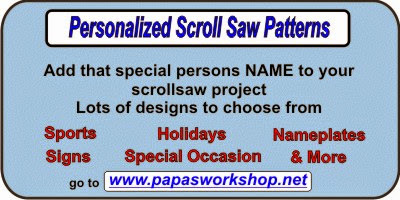 Here are three Word Art patterns for you to cut. Happily Retired, Grumpy Old Fart and Happy Geezer. 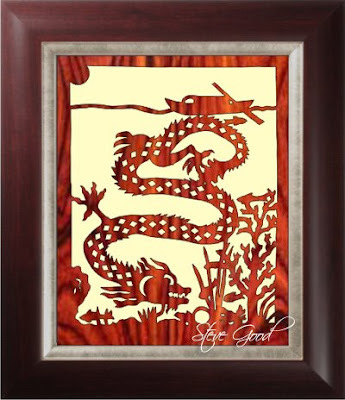 These types of patterns make neat novelty gifts for friends and family members. 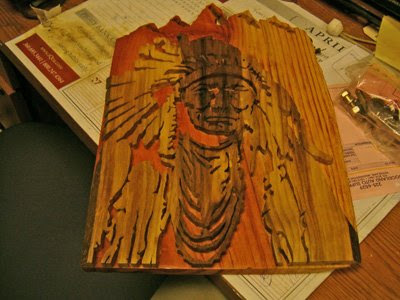 I usually cut Word Art patterns from 3/4" clear pine. 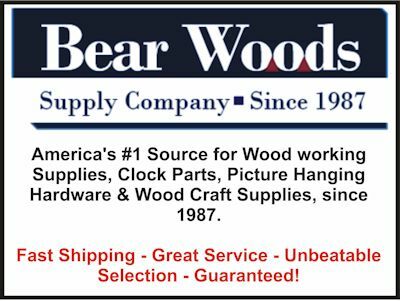 The pine is cheap and the novelty is in the words and not the type of wood. 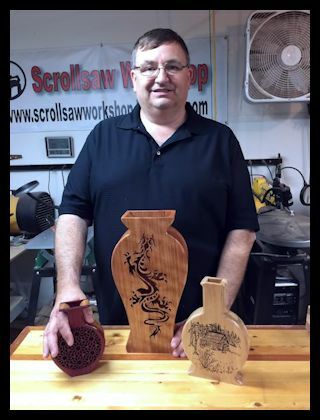 I use a #5 or #7 scroll reverse blade to minimize sanding on the reverse side. I don't usually even finish the project except maybe a coat or two of spray lacquer. Sharing some pictures from readers. 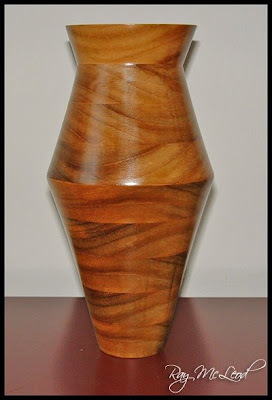 The concentric circle vase pattern has been very popular. The first two pictures are from Roger. 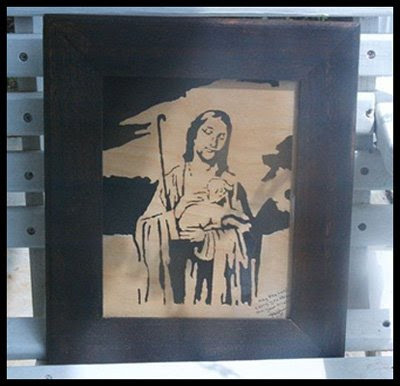 As you can see in the second pic he made several. 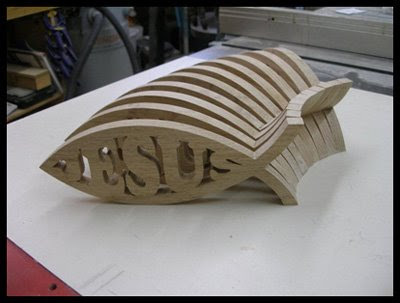 He took the pattern and made some changes which look great but I don't envy all the sanding he has ahead of him. The next two projects are from John. This is some beautiful work. 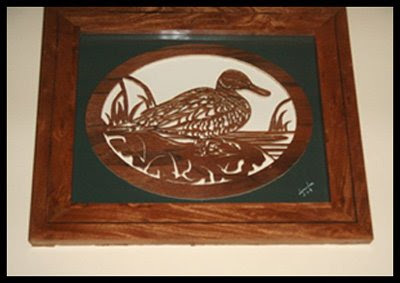 He made the frame in the mallard portrait. I really like the frame and oval mat. Nice work John. The next two are from Eltee. 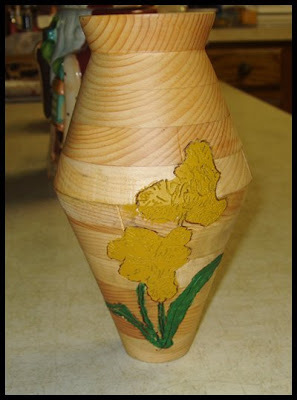 Look at the decorative painting on this vase. 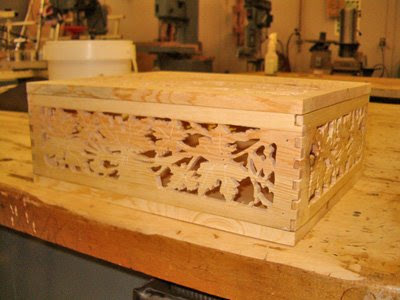 The second picture is Eltee's 3d cutting jig. 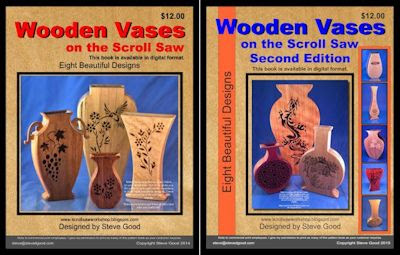 The last picture is a another set of vases from Conrad. 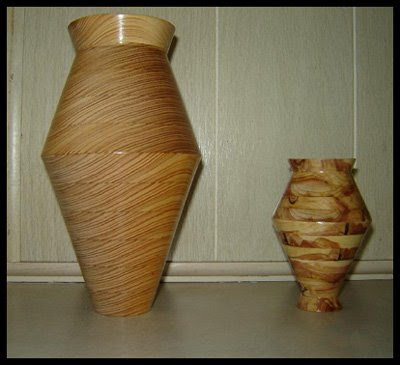 Check out how he lined up the grain pattern in the larger vase. 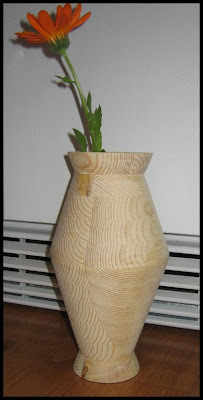 The smaller vase required him to recalculate the angle of cut for the shorter rings. He also added a foot to the pattern. Looks good to me. Thanks for sharing all your work with everyone. I love getting pictures in my email. If any of you want to share your work send it on. I'll post as many of them as I can. Poker is one of the fastest growing games in the world. It's on television and the internet. There are thousands of Friday night poker games in homes and poker clubs. 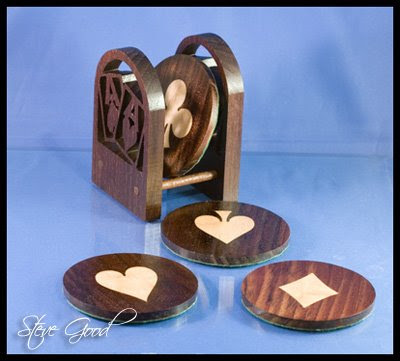 This coaster set is easy to make using the bevel inlay technique I demonstrated in the last video post. 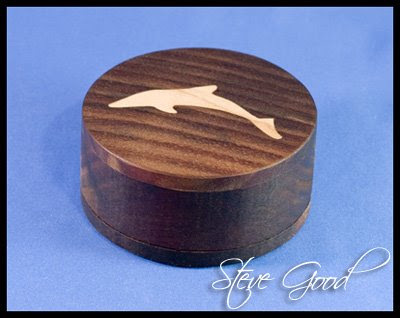 If you need instructions watch the Round Box Inlay video tutorial on this blog. 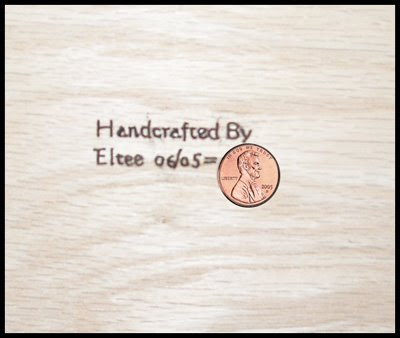 The coasters are 1/4" walnut and the inlay is 1/4" maple. I used self sticking green felt on the bottom of each coaster. 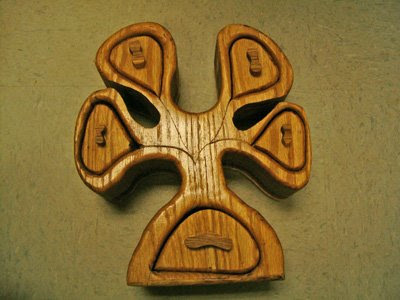 The holder is made from 1/2" walnut and two walnut 1/4" dowel rods. 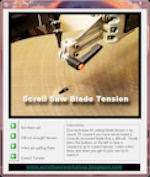 You can adjust the length of the dowels if you wish to make 8 coaster instead of four. 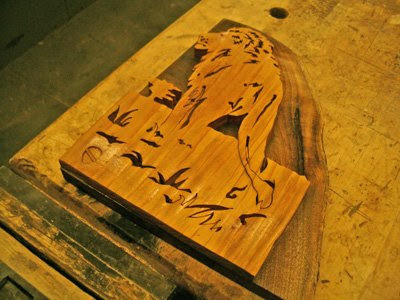 Make sure you give the coaster several coats of lacquer to protect them from the moister. This has been a crazy week. I have had so much going on that I have neglected the blog and my emails. I know many of you are waiting for a reply to email. I will get caught up soon Be patient with me I'm not trying to ignore anyone. 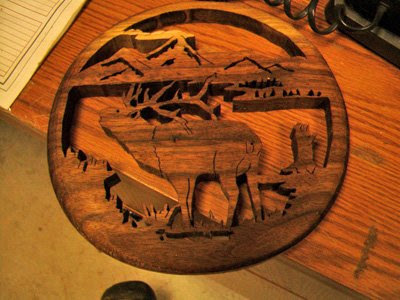 Sue Mey is one of the finest scroll saw pattern designers I know. 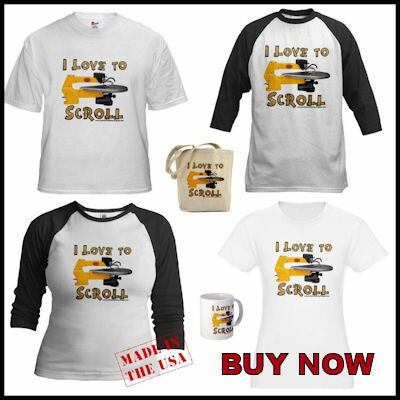 Sue has been published many times in all the major scrolling magazines. 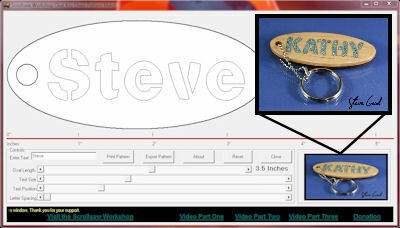 If you would like to know the secrets of Sues design technique this is your chance. She is selling tutorials for her portrait style patterns. She has three tutorials available covering her technique in Adobe Photoshop, Paint Shop Pro and Corel Photo-Paint. Don't miss this opportunity to learn from one of the best. 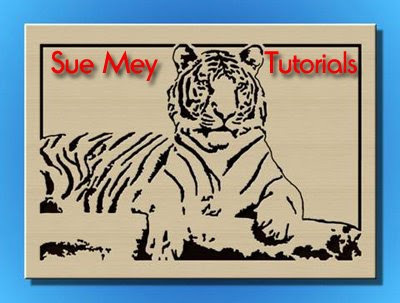 Sue has added a Gimp tutorial. 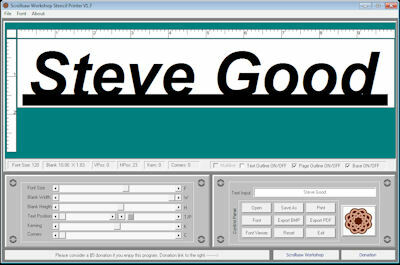 The Gimp is an open source free graphics editing program. If you want to learn to design portrait patterns but don't own any of the commercial applications she teaches, then check this out. 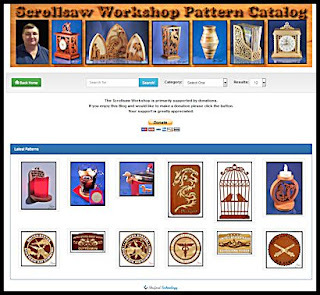 Sue provides a link to the free software and the tutorials are just $10. Don't miss this opportunity to learn from the best. I have put together a video that shows how to use the scroll saw for inlay work. In the video I make the round box in the picture above. 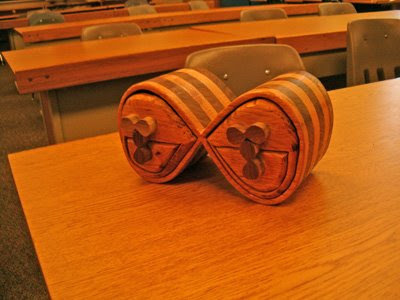 It is a pretty easy project to make so give it a try and let me know if you have any questions. The free pattern for the box is after the videos. I received an email from Ray today. 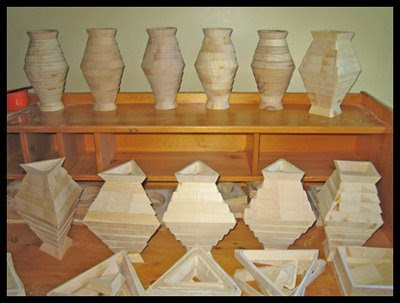 He enjoyed making the concentric ring patterns I posted the other day and I wanted to share his finished projects. 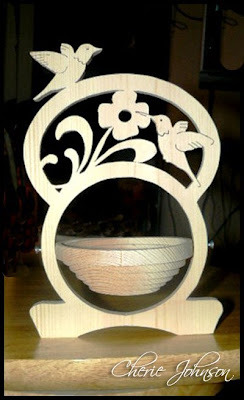 He used Walnut for the bowl and vase. Walnut is fast becoming my favorite wood to work with and it worked well for these pieces. 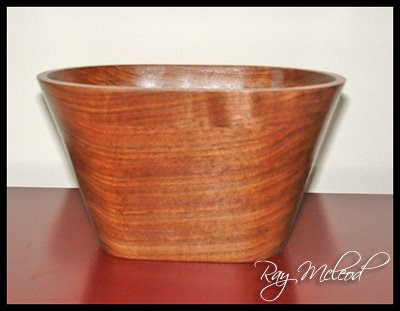 Ray made a change to the oval bowl pattern that I really like. He extended the height of the bowl by one ring. 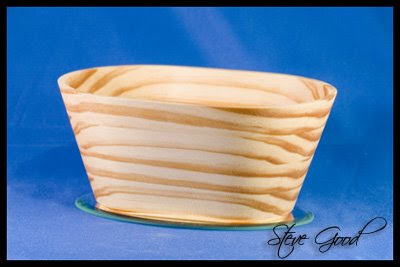 His bowl looks much more proportional than the one I made. I'll go back and change the pattern to add Ray's update. I have not been available the last few days to work on the blog. I have had some family issues to take care of. If I have not gotten to your email or I am working on a pattern for you please be patient with me. I'll get caught up eventually, I hope. I also appreciate the Happy Fathers Day wishes. You guys are great to have as friends. I received these pictures in my email and wanted to share them. Ron used my Fish pattern for the second picture and they look great. I really like the font Ron used to create the name plates. I'm not sure how well it shows in the small pictures but the letters look 3d. I'll see if I can find out where he got the font. 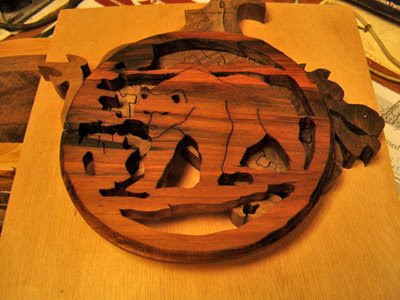 The Industrial Arts teacher at La Center High School, WA sent me these finished scroll saw projects from some of his students. 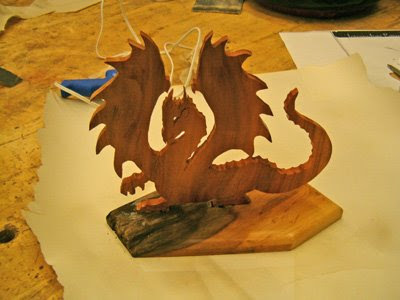 Harvey Pusts is obviously very proud of his students and his mentor ship shows in his students finished projects. These young men and women have done a fantastic job and I wanted to share their skill with all of you. Looks to me that the future of our hobby is in good hands. Just a simple pattern with a with a wish for the world. Sorry about the files not downloading this morning. They are working on the problem. As much as I hate to do it I might have to look for another host. Hopefully they can get the server back up and running in a few minutes. 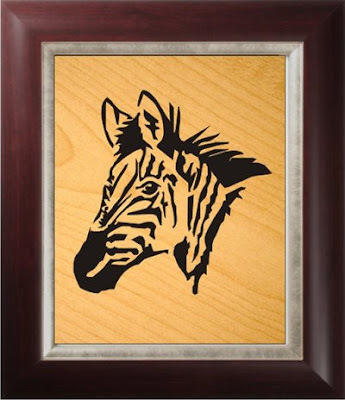 This Zebra is a beginner level portrait pattern. There are only about 12 cuts to make. 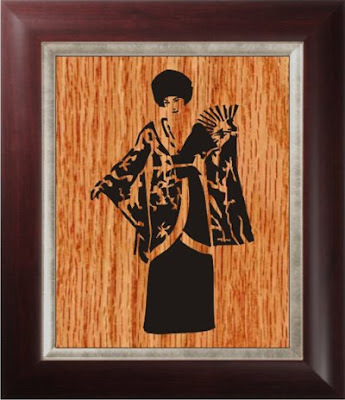 Portrait style patterns are usually cut from thin Baltic Birch plywood. The finished project is then backed with a solid color backer board and framed. 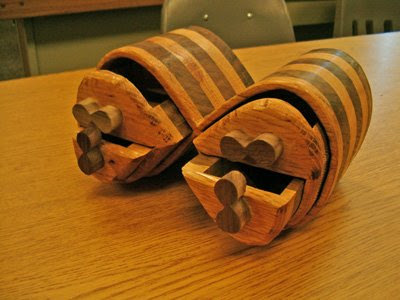 If you enjoy this type of pattern and want a real challenge check out Jeff Zaffino's master level patterns. 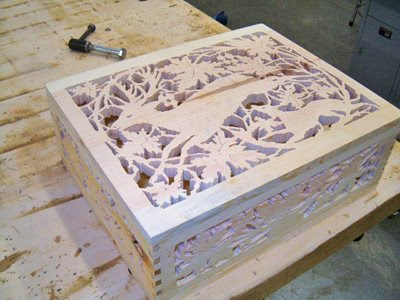 Jeff designs great patterns if you are up for the challenge. He also sells a DVD that teaches his techniques. June 15th is Fathers Day here in the States. Here is a simple little pattern for Fathers Day. 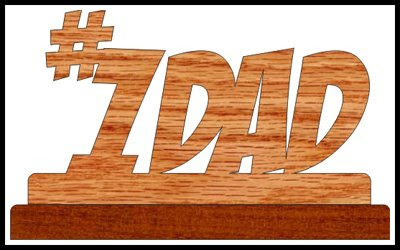 Let your dad know he is #1 in your life.